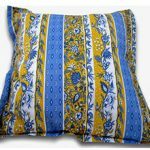 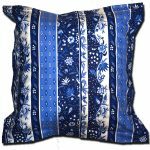 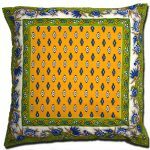 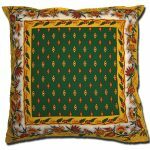 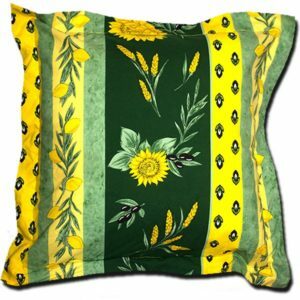 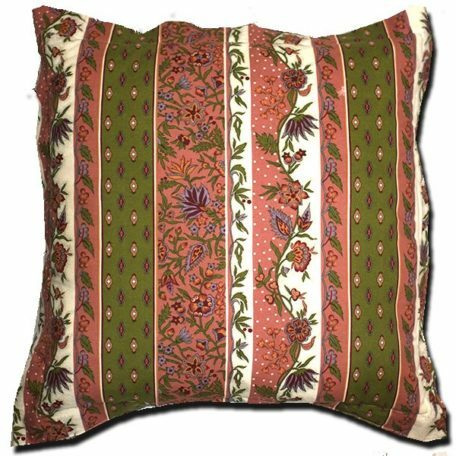 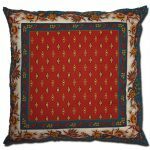 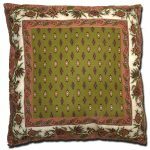 Our Throw Pillow Case Provence Design – Manosque come in 3 sizes; 16 inches x 16 inches, 20 inches x 20 inches, 24 inches x 24 inches when flat and are sold without an insert so that they can be stuffed with pillows, lavender flower, cotton balls, etc.. 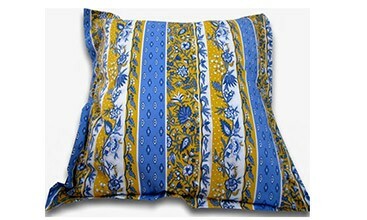 They come with a zipper for easy washing. 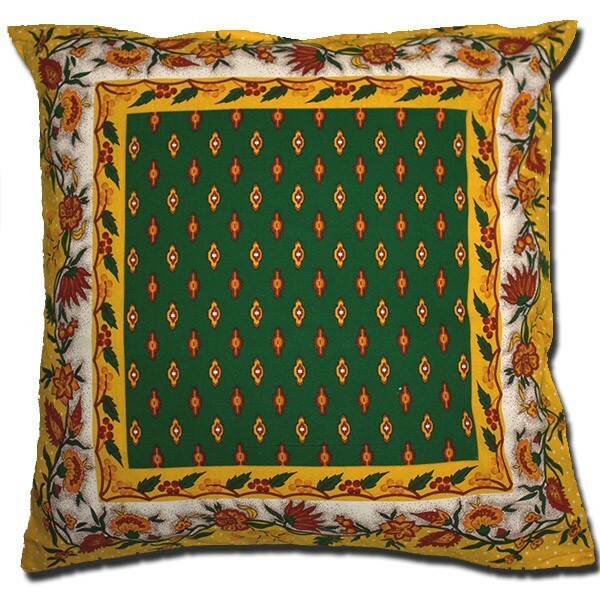 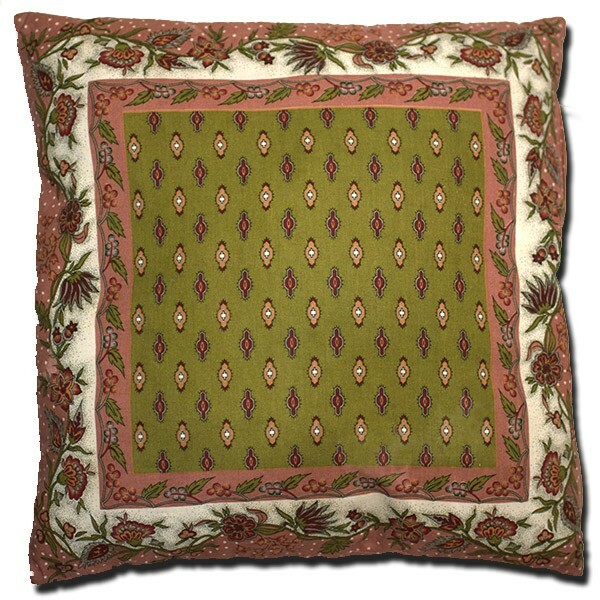 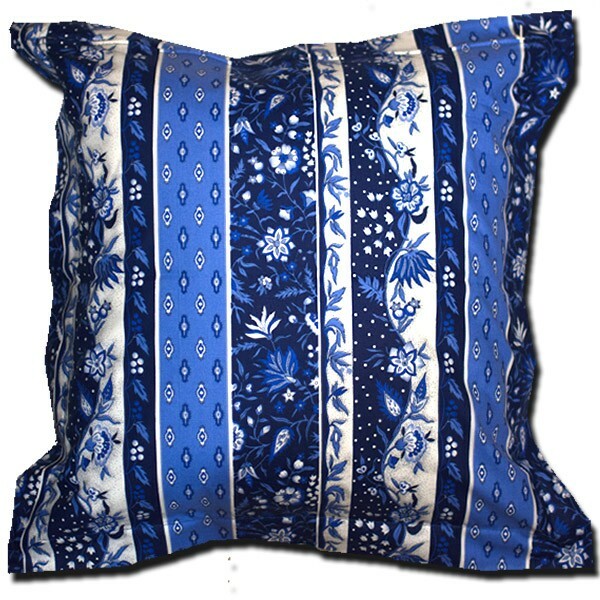 Like the rest of our fabric products, our Pillow Covers are handmade and finished with a Hem for better strength. 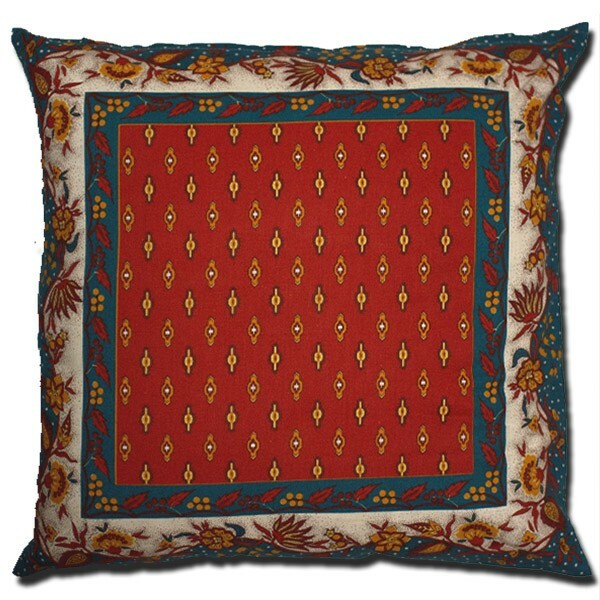 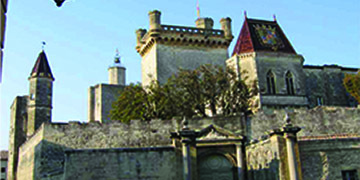 They are available in all the designs that we carry for easier coordination. 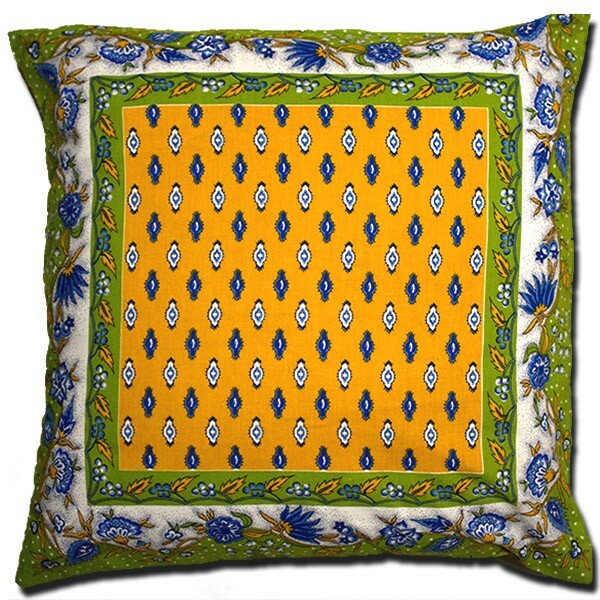 Available colors: Blue and Yellow, Blue and White, Pink and Green, Green and Yellow, and Blue and Red. 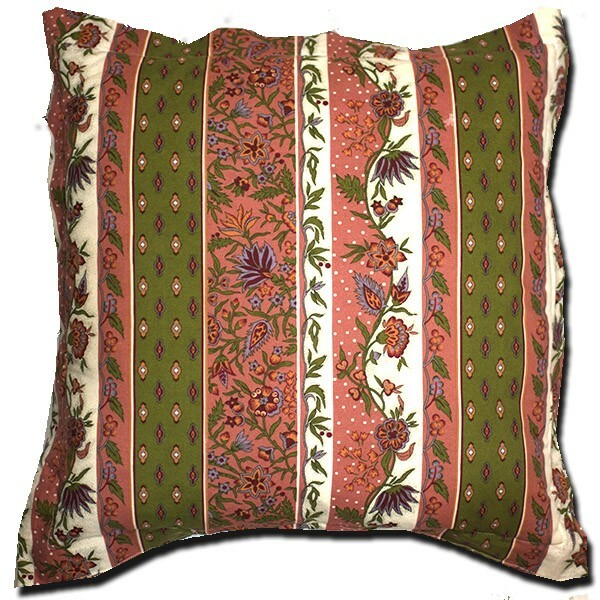 Beautiful French accent on sofas in the living room or in the bedroom. 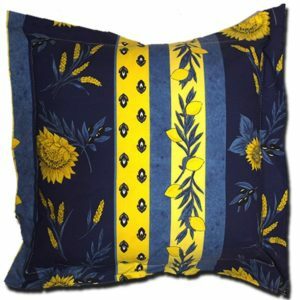 Stuff it with Lavender flower for a relaxing pillow.